Jason Holly to release “Ojos Verdes”, the first blend under the Cloak & Dagger series. 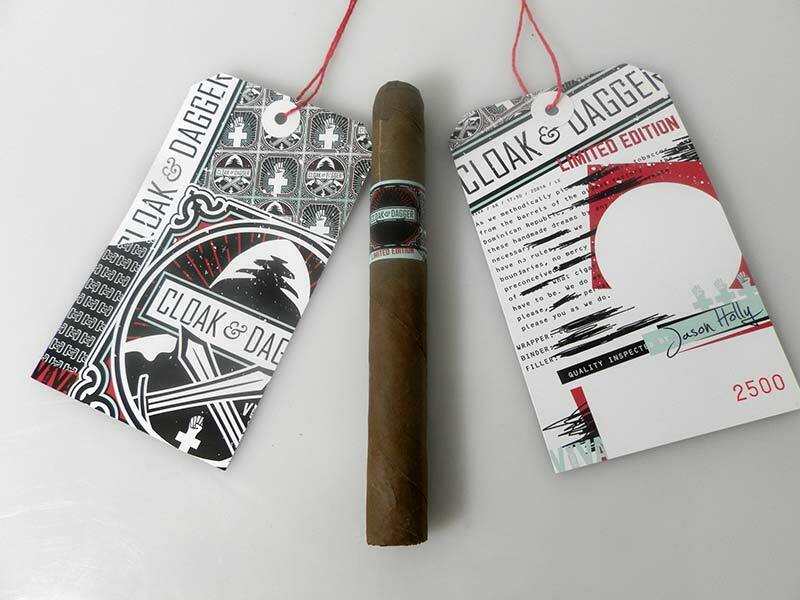 Miami, Florida- Viva Republica, the premium handmade cigar manufacturer announces a new series named Cloak & Dagger. This new effort will allow the company to quickly release an array of limited edition blends. The Cloak & Dagger program is unique, as the blend contents will not be released to the public. The first blend under the Cloak & Dagger series is the: Ojos Verdes cigar. The first release, Ojos Verdes or “Green Eyes”, is a 6" x 47 Corona Gorda, featuring a Dominican Candela wrapper. No other information on the blend will be released, and future blend information on cigars brands under the Cloak & Dagger series will be withheld. Production is limited to 250 bundles of 20 cigars with an MSRP of $8.50. Keeping in the political vein, Viva has themed its previous releases, and this one takes on the personality, of clandestine operations (or the Dark Arts). These releases will be non-boxed and shipped in mazos of 20. Each different release features the same Cloak & Dagger band, with a hang tag indicating the vintage, and codename for each release. “I'm excited about this line, because it will allow me to get projects out of the factory much quicker, than we have been doing in the past. With standard packaging prepared, we can turn out a wet-shipped release, in less than a week, or 30-40 days, with traditional minimum aging, stated Holly. Consumers should expect to see more releases under the Cloak & Dagger program this year, featuring different sizes, different blends and some novel concepts regarding both blending and construction. The theme for Viva for 2016 will be to reinforce our theme of "Where the Wild Things Grow" and Cloak & Dagger will certainly serve as one of the expressions of the brand. Miami Cigar & Co. is the exclusive American distributor of Viva Republica. Viva Republica is a boutique premium handmade cigar manufacturer, with all production being provided by La Aurora, S.A. Miami Cigar Co. serves as exclusive United States distributor www.vivarepublica.com. Miami Cigar & Co. , founded by Nestor and Mariana Miranda, Miami Cigar & Co. has become one of the premier distributors of premium cigars boasting a portfolio which includes Tatiana, Don Lino and the Nestor Miranda brands. Miami Cigar &Co. also serves as the exclusive United States distributor for La Aurora, S.A and all Viva Republica brands. Pfeffikon/LU, March 15, 2016 –Heinrich Villiger, Chairman of the Board of the Villiger Soehne AG hands over his function as CEO of the Villiger Group after 65 years in charge. The new CEO of the Villiger Group is Robert Suter (M.sc. Swiss Instiute of Technology) who has extensive experiences in international Swiss industries. In his last position he successfully acted as Group CEO of Conzzeta AG a Swiss holding company. “We are very pleased that we were able to hire with Robert Suter a renowned and experiences Swiss manager as CEO for the Villiger Group. Robert Suter has a long and exceptional career as top executive in industrial groups. 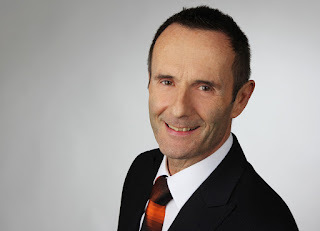 Among other positions he acted successfully as Group CEO and Chairmen of the Executive Committee at Conzzeta Ltd.” Heinrich Villiger said who will remain Chairman of Villiger Soehne AG and the Villiger Holding. “It is the right time” emphasizes Heinrich Villiger. For 65 years tobacco was his life as being in charge as entrepreneur of the tobacco group. Heinrich Villiger hands over his responsibility with immediate effect. Starting from March 2016 Robert Suter will take over his new role as CEO. The board of Villiger Soehne Holding AG and Villiger Soehne AG remains unchanged. This news comes on the heels of Rene Castaneda being named President of Villiger Cigars North America. Robert Suter will work together in tandem with Castaneda as Villiger Cigars North America continues to make big strides in 2016. The Villiger Group is a Swiss family company in the international tobacco industry in the fourth generation. The group has 1500 employees globally and has sales of about 200 Million Swiss Francs a year. Production locations are Europe, Americas and Asia. NEW YORK (March 3, 2016) – Nat Sherman, tobacconist to the world since 1930, is adding three new vitolas to the Nat Sherman Panamericana line of cigars bringing the total number of facings of the Panamericana blend to seven. The three new sizes, the Robustico (4” x 54), Belicoso Fino (5.5” x 52), and Gordo (6” x 60), will be packed in the same 10-count boxes as their predecessors and priced in the $10-$12 range, in keeping with the rest of the line. This announcement comes in anticipation of the 48th Annual Tobacconists Association of America (TAA) Convention & Tradeshow in Puerto Vallarta, Mexico on March 6. There will be a limited number of samples available to member retailers during the tradeshow. Initially launched in 2014 as an exclusive product available only at the Nat Sherman Townhouse, the company’s flagship store in New York City, the Nat Sherman Panamericana became exclusively available at TAA member retailers throughout the United States as of last year. The Nat Sherman Panamericana is a full-bodied blend of aged tobaccos from Costa Rica and Nicaragua, with a Nicaraguan binder and an Ecuador Sumatra wrapper. The cigar line, a TAA Exclusive Series Product (ESP), is manufactured in Esteli, Nicaragua, by the Plasencia Family. Founded by Nat Sherman in 1930 and family-guided for three generations, Nat Sherman International continues to define the authentic tobacco experience. Through a tradition of innovation and expertly crafted products, Nat Sherman’s timeless appeal, while quintessentially New York is embraced and enjoyed worldwide. For additional information on Nat Sherman, please visit www.natsherman.com and follow Nat Sherman on Facebook, Twitter and Instagram at @Nat42nd. (Miami, Florida) March 11, 2016 – La Aurora is pleased to announce that they will begin to ship the Puro Vintage 2006 111 Aniversario Master Case Series today Friday, March 11. 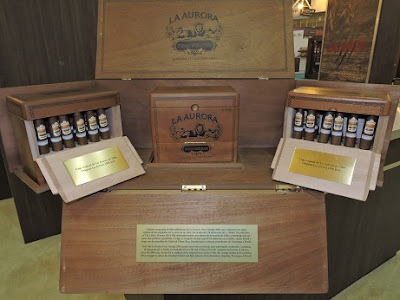 Limited to only 500 cases, the Master series features replica packaging of the same boxes that La Aurora used in 1906. The Master Series houses the Puro Vintage 2006 111 Aniversario expressed in three different vitolas (Salomon: 6 1/2 x 50/60, Toro: 5 3/4 x 54 and, Preferido: 6 X 58). There are a total of 54 cigars divided into 18 of each vitola in the package. 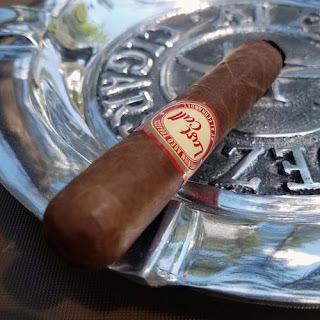 The Puro Vintage 2006 Master Case Series made its debut at the 2015 IPCPR in New Orleans. Founded by Nestor and Mariana Miranda, Miami Cigar & Co. has become one of the premier distributors of premium cigars, boasting a portfolio which includes Tatiana, Don Lino and the Nestor Miranda brands. Miami Cigar &Co. also serves as the exclusive United States distributor for La Aurora, S.A, Viva Republica, and Toscano brands. NEW YORK (March 2, 2016) – Nat Sherman, tobacconist to the World since 1930, has introduced new secondary bands on both cigar lines of the Timeless Collection to help simplify the product identification process. The Timeless Collection is comprised of two unique blends produced in two different countries. The company created the red band to signify the Dominican made Timeless blend, while the black band represents the Nicaraguan made Timeless blend. Both blends remain the same, but the new additions help retailers and consumers identify the Timeless Collection’s two unique countries of origin. The Timeless Collection represented a renewed and refocused energy for Nat Sherman upon its initial release in 2012. The cigars in Dominican made Timeless Collection are a full-bodied, medium-strength blend of tobaccos from three different countries, produced at the Quesada Cigars factory, while the Nicaraguan made blend is a medium-bodied puro crafted by Plasencia Cigars. Additionally, the cigar names of the Dominican made cigars come from the classic vitola names, whereas the Nicaraguan made are differentiated by a three-number name that combines the length and the ring gauge of each cigar in the line. The cigars featuring the secondary bands began to roll out in stores nationwide as of February 2016. Bold rich flavors with a lingering sweetness, a smooth full bodied mouth feel and bright radiating aromas make this "House Blend" perhaps the best overall cup I've ever brewed. 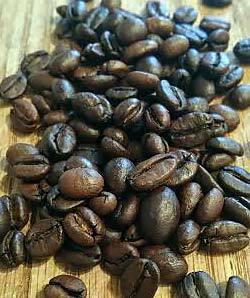 The enticing chocolate covered cherry aroma radiating from the open bag will knock your socks off, but once the beans are ground into coffee, bright red wine nuances really shine. Doing the pour-over a nice bloom swelled and a notes of bold mocha hit my nose. Sipping the hot brew, it was bold, yet soft and smooth, with a pleasant sweet syrupiness that not only coats on the palate, but lingers until the next sip. There were flavor nuances of coffee, cocoa, caramel, and sweet red wine. As the cup cools, the sweet fruit notes continue to develop adding a bit of bright acidity.